Released ahead of The Last Jedi, littleBits’ Droid Inventor Kit let aspiring Jedis build and customize their own astromech droids—even if they didn’t have the Force. 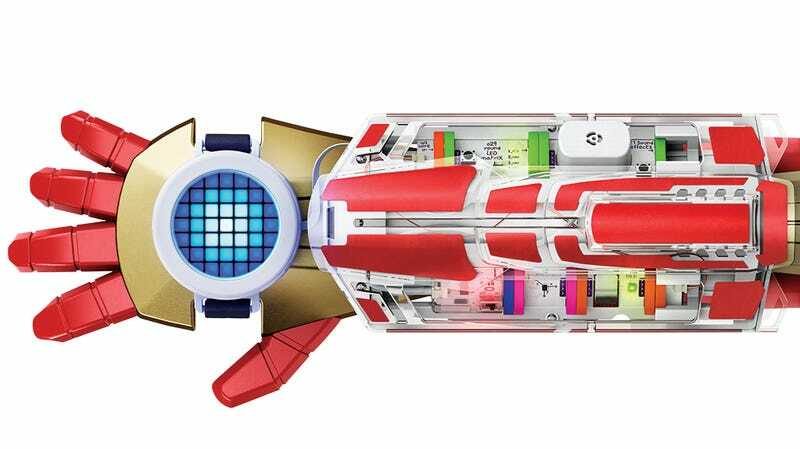 The company’s new Avengers Hero Inventor Kit takes a similar DIY approach, but instead of robotic sidekicks, kids can design and program their own superhero gauntlet. If you’re not already familiar with the littleBits kits, you can think of them as Lego blocks for building functional electronics. The various components, which are called Bits, snap together with magnets to complete circuits and bring custom gadgets to life, without the need for stripping wires or reaching for a soldering iron. If you’ve ever come across a clever hack online and wished you knew how to design your own, littleBits are a good way to start learning. The Avengers Hero Inventor Kit’s wearable gauntlet can be customized on the outside with included stickers, or just about anything kids want to strap, glue, tape, or attach to help make the toy feel like their own creation. Inside the gauntlet, there’s room to assemble a small assortment of electronic Bits including sound, light, and motion sensors, plus a battery pack, and a speaker that plays authentic Avengers sound effects. The kit also includes an additional wearable component: a customizable LED matrix that can be programmed with your own images and animations using an accompanying littleBits app, connected to the gauntlet over Bluetooth. Not only does the app expand the functionality of the littleBits components, it also includes step-by-step tutorial videos and activities involving Marvel characters like Black Panther, the Hulk, Shuri, Black Widow, the Wasp, and Iron Man. Don’t expect your kids to fire energy blasts from their hands, or suddenly be able to punch through walls with the gauntlet strapped on. 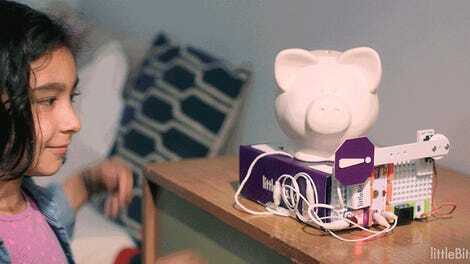 But for $150, available starting August 24, the littleBits kits are some of the most accessible ways to introduce your kids to STEM (science, technology, engineering, and mathematics) concepts, without making them feel like they’re stuck in school.